Marble isn’t just for kitchen counters and bathroom sinks. Beautiful and stunning, it can be an important architectural addition to other areas in your home. Timeless and classical, marble might be the best choice for your patio, shelving or even the window sills in your home. Available from StonExchange, marble window sills are a fantastic choice for any home. Durable and beautiful, marble will not rot slowly away like plain wooden sills. Naturally formed and made to withstand the harsh weather, it won’t have to be scraped, sanded and painted every few years. Colored throughout the stone, it also will not fade under the hot sun. Perfectly fit to the frame, stone is the most effective material for shedding water safely away from the home and keeping the window dry. It’s a small change that will make the homes feel more sophisticated, making it easier for you to find buyers when the properties are ready to sell. Easy to clean and care for, they are a natural choice in commercial settings. Whether you are renovating a large building or constructing new offices, consider the selling benefits of using marble in the window and door thresholds. You know how fantastic marble, granite or travertine can look in the bathroom and kitchen. Now imagine how incredible that stone would look as a windowsill. From the inside and outside, the architectural addition will make your home more attractive. Because it’s durable and easy to maintain, it will also appeal to potential buyers. The home value and appeal will increase when you make the switch from wood or vinyl to beautiful natural stone. Appropriate for commercial and residential applications, you will enjoy a higher selling price when you choose marble for the windows. Committed to helping you improve your home, the StonExchange stocks several sizes of beautiful marble thresholds and window sills. We offer sills in three standard lengths of 74, 56 and 36 inches, but you can have them cut by your installer to fit any size you might require. Most of our sills are 5/8 inch thick, which is the current size required in modern construction. However, we do offer ¾ inch thick sills for special orders which require a 10-12 weeks of lead time. The depth of our marble sills varies greatly and can be customized to some extent to meet your needs. The narrowest size is three inches wide, and the widest option available is a foot wide. We offer all sizes in between in one-inch increments, so you can easily find the right size for your windows. We don’t offer special orders on small purchases, but we can work with you if you are buying in bulk. Following our minimum purchase requirements, we can manufacture sills that will match your specifications. The merchandise will be custom created overseas and shipped in for you. While marble window sills are an upscale addition to the windows in your home, there are other areas where they can be used. While they are designed for windows, they also make stunning choice for shower curbs. Added to the kitchen, they can be used as a backsplash along the counters. The durability of marble window sills and thresholds means that you will want to choose neutral colors. This will allow you to change interior décor and exterior colors without having to change the window sill. We are proud to offer a few neutral choices, so you can still customize the home and improve the overall look. 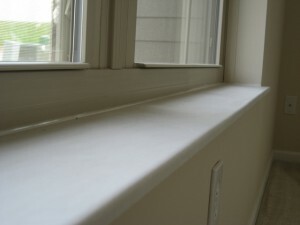 Nuevo Carrera white, Travertine, Crema Sahara Marfil and pure white thazoz are the top choices for window sills. • Nuevo Carrera White – The slight gray veining in this stone adds a lovely bit of interest to this neutral white color. • Travertine – A beautiful creamy ivory color, travertine looks fantastic with any wood flooring or neutral furniture. Warm and welcoming, it will complement most color schemes. • Crema Sahara Marfil – Warm and wonderful. A natural choice for traditional decors, it can also be an exquisite choice to warm up modern themes and contemporary designs. • Pure White Thazoz – A bright white color engineered stone. Crisp and clean, this color is a natural choice for the bathroom, kitchen and any room that could benefit from the introduction of more light. 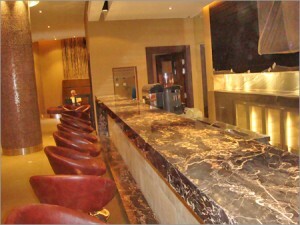 • Black Granite –Black granite is an interesting option that might work well in your home as well as your hotel renovation project. The dark color is a little different, and it can add style and variety to any room. We sell window sills by the crate, and we are happy to provide you with a single crate or a thousand crates. Single crates feature 50, 100 or 150 pieces of marble, depending on the dimension size you require. We do not ship individual marble window sills, but you are welcome to visit our Miami warehouse to purchase individual marble pieces. We use Nationwide Freight companies to ship full crates from our distribution center in Miami to our customers around the country. All crates are made from strong wood and designed to protect your marble. Crates are stackable, which makes deeply discounted freight rates possible, also you can easily store the marble until your project is ready for the marble. We have a minimum order size of one crate, and for multiple crate orders, contact us to see if you will qualify for our container pricing. There are many benefits to choosing marble window sills for your construction or renovation projects. Durable and sophisticated, they will appeal to a wide range of people. Different and interesting, potential buyers will be drawn to the appeal of maintenance-free marble window sills and thresholds. Your property will stand out to buyers, and potential customers will pay a little more for the higher quality you are proudly offering. Make the switch to marble to enjoy all the benefits, increased profits and the amazing impression it will make on potential buyers.